How does does Dr. Lee uses acupuncture to help lower back pain and sciatica? The symptoms of the lower back pains are soreness, stiffness, and dull ache in the lower back on one or both sides or at the center of the lumber spine. Some patients with sciatica may experience pain, tingling, numbness, radiating in the thighs and legs or even to the feet. Prolonged sitting, standing, walking or even lying in the bed, can aggravate the lower back pain. X-ray or MRI may show a narrowing of disc space or even disc protrusion that may or may not press on the nerve at L4-L5 or L5-S1. 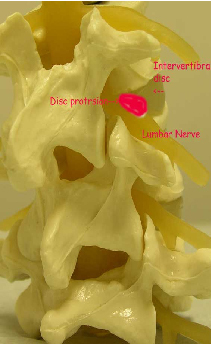 The same disc protrusion may cause narrowing of the spinal canal resulting in lumbar stenosis. Some patients may already have had one or more surgeries. But the lower back pain persisted even after multiple sessions with physical therapy and chiropractic treatments. In such situations, acupuncture provides an excellent and effective alternative to those patients who has failed the procedures listed above and those who wish not to have surgery or are under constant heavy pain medications. Dr. Lee’s approach with acupuncture to treat low back pain is based on his extensive knowledge in both Chinese and Western medicine. His unique acupuncture point selection is designed to improve blood circulation and relax paraspinal muscles allowing more fluid and nutrients to nourish the disc thereby increasing the elasticity of the discs. Such increase in the elasticity of the discs through acupuncture can help reduce the disc protrusion and thus reduce and eliminate the lower back pain. A companion exercise program is also given to the patients undergoing acupuncture for lower back pain and sciatica. The number of visits ranges from 2 to 10. Most of the patients experience substantial relief after 6 acupuncture treatments.